The Ministry of Energy & Water intends to develop and construct a burried 36” Natural Gas Transmission pipeline from Tripoli at the North of Lebanon to Tyr at the South with a total length of 177km of which 37km will be offshore. 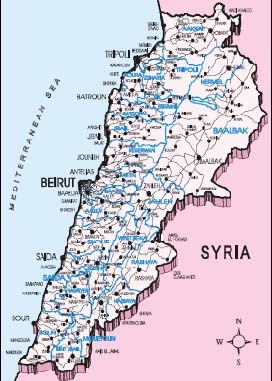 The 36” Natural Gas Pipeline will be connected to an existing 24”gas pipeline at Deir Amar at the North of Lebanon near the northern Lebanese Syrian borders and it will be used for the supply of Natural Gas to the lebanese Power plants located on the coastal frontier as well as the factories and heavy industries in order to reduce the operational cost of electricity bill and its generation providing the industrialists the incentives and capability to compete in the markets. Aslo, it shall take into consideration the three potential sources of gas supply where the first one is through the exisitng 24” pipeline from syria to the Tripoli Oil Installations at Deir Ammar,. The other two sources are future LNG gasification sites at Selaata and Zahrani. Develop a Front End Engineering Design (FEED) for the pipeline to provide the Tenderers with a good basis for the bidding of the Execution Phase Contract that includes the Engineering, Procurment and Construction of the pipeline all with the highest level of safety and professionalism. Assist the Client in the Contractors Prequalification Process.